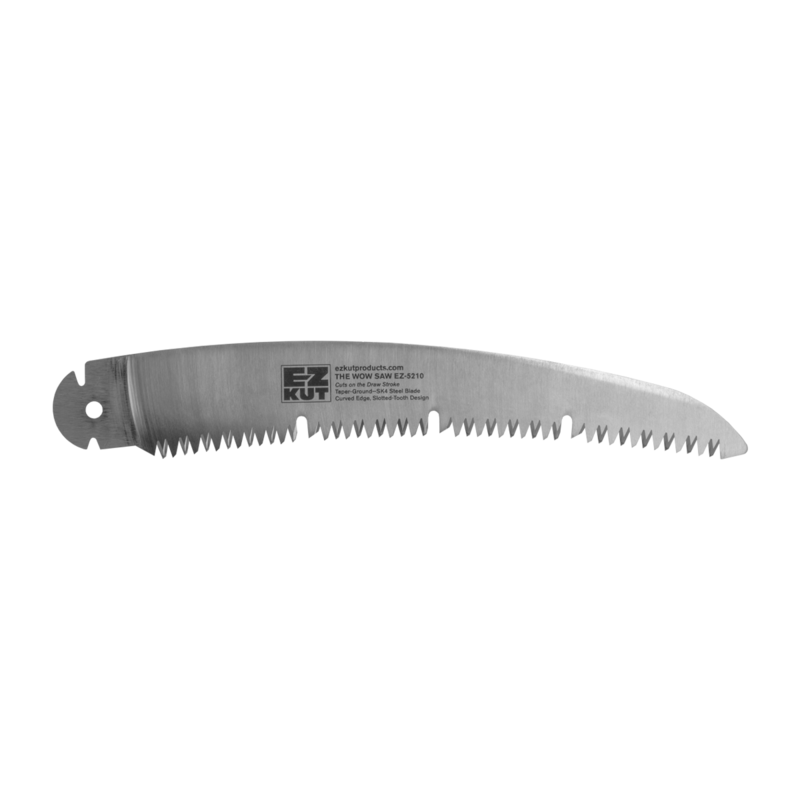 Large 10 Inch Curved Surface Replaceable Blade. 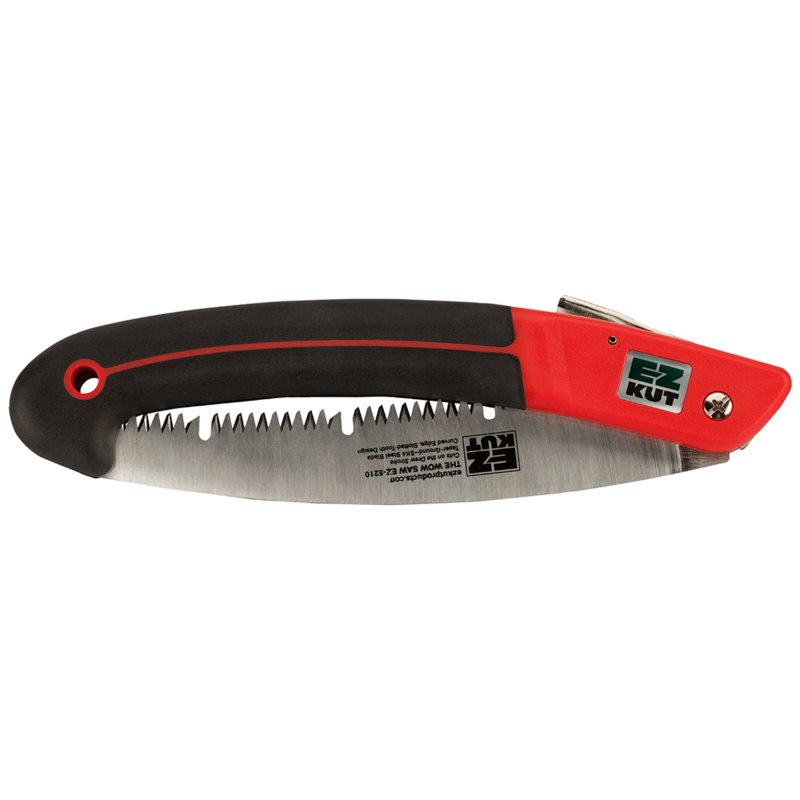 Taper Ground Hard Chrome Plated SK4 Japanese Steel Blade. 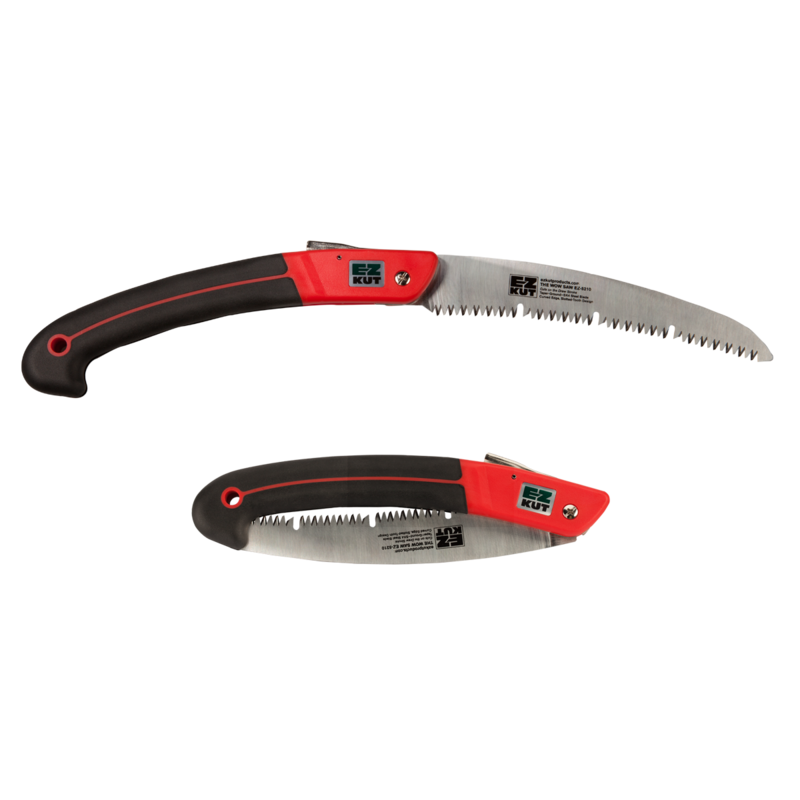 Slotted Blade Cleans As It Cuts, Keeps Blade Cooler To Resist Sap And Pitch Build Up. 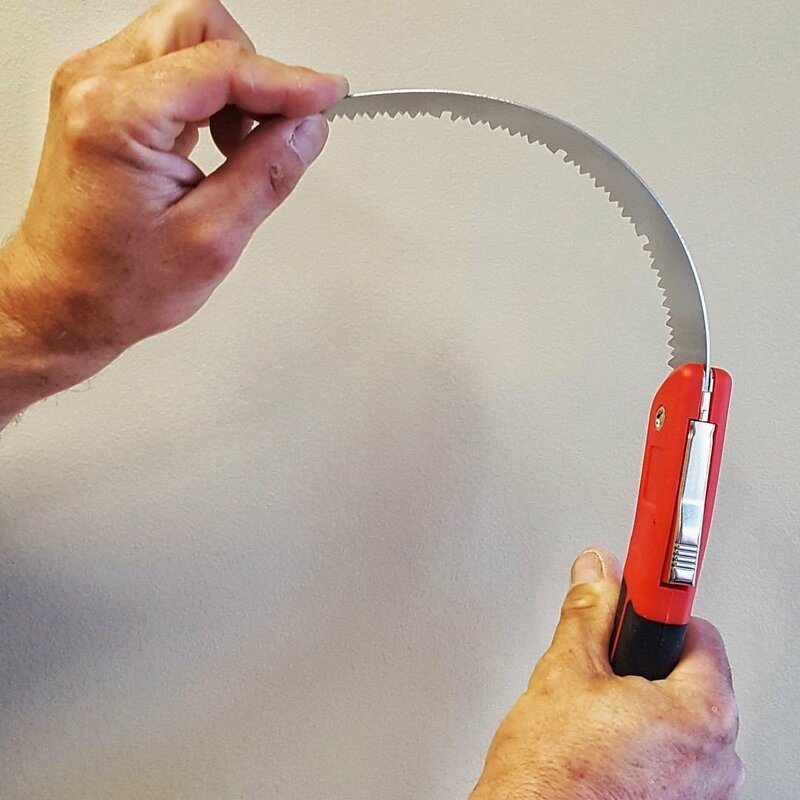 Cuts On The Draw Stroke. 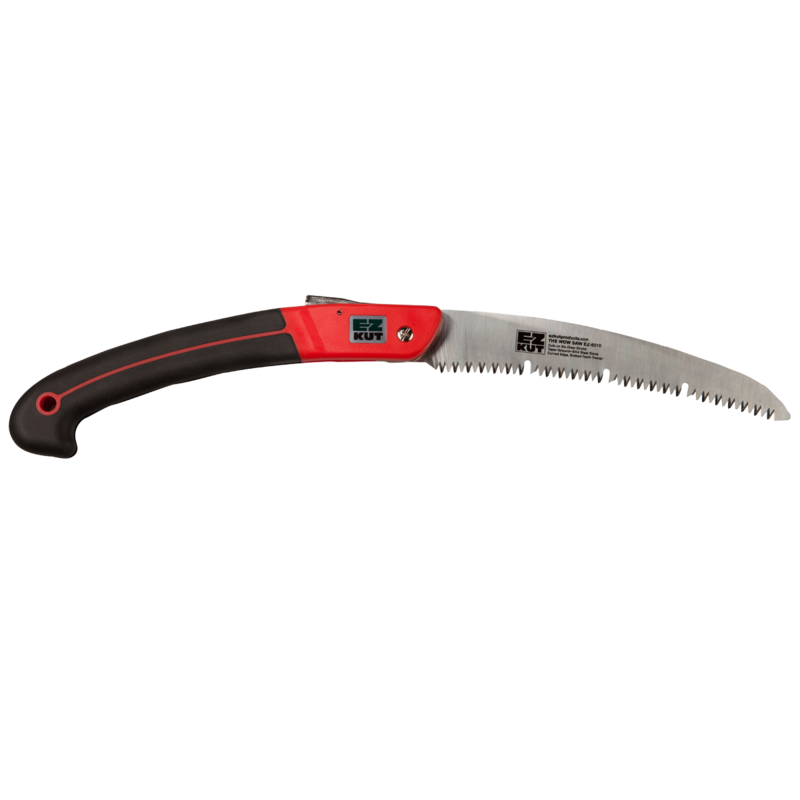 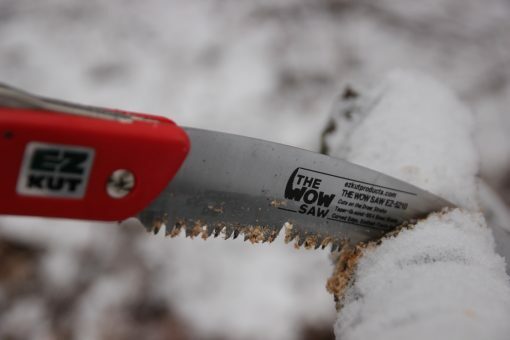 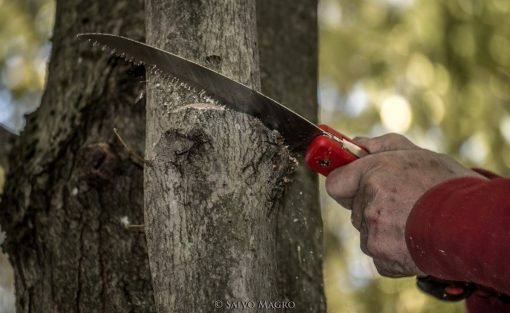 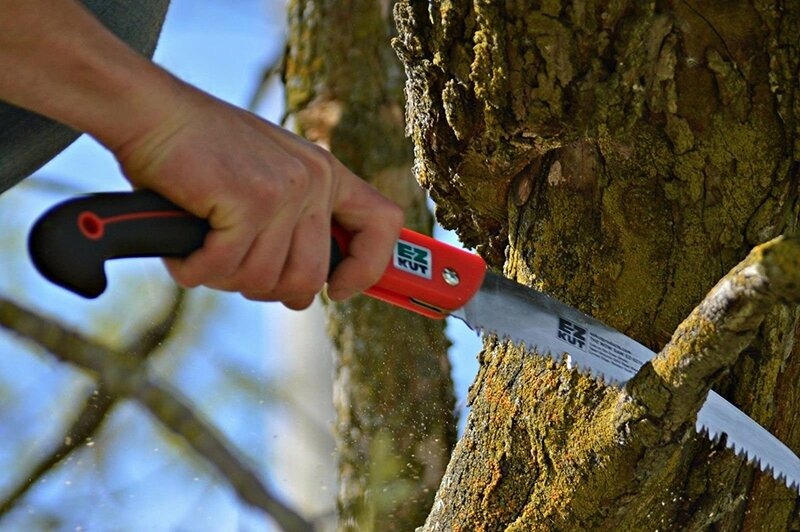 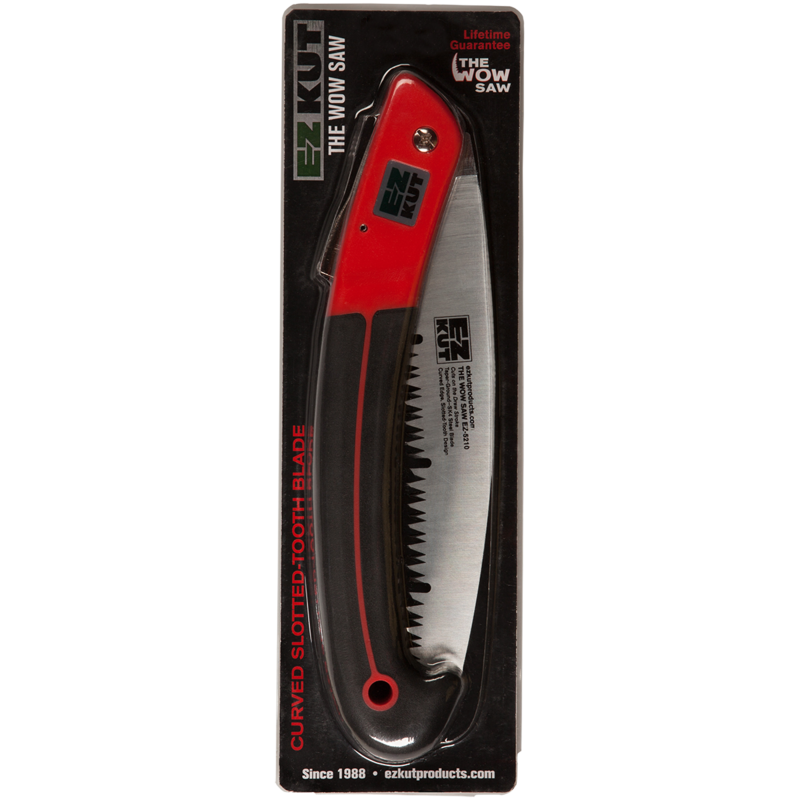 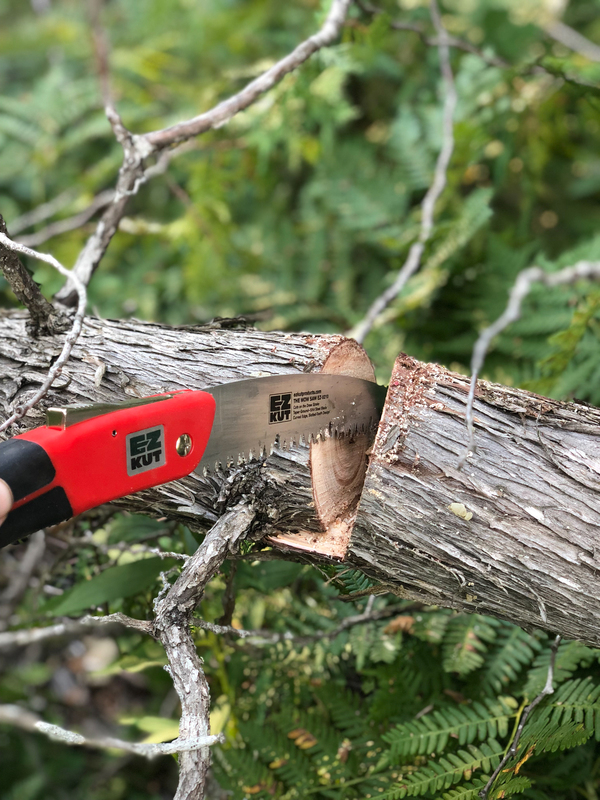 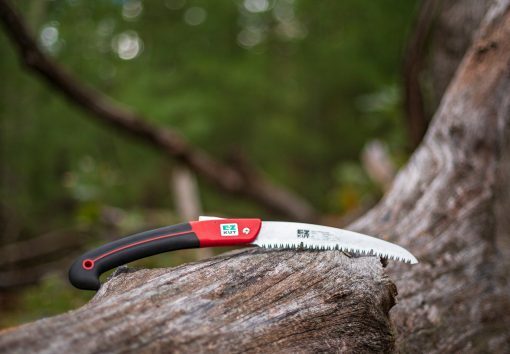 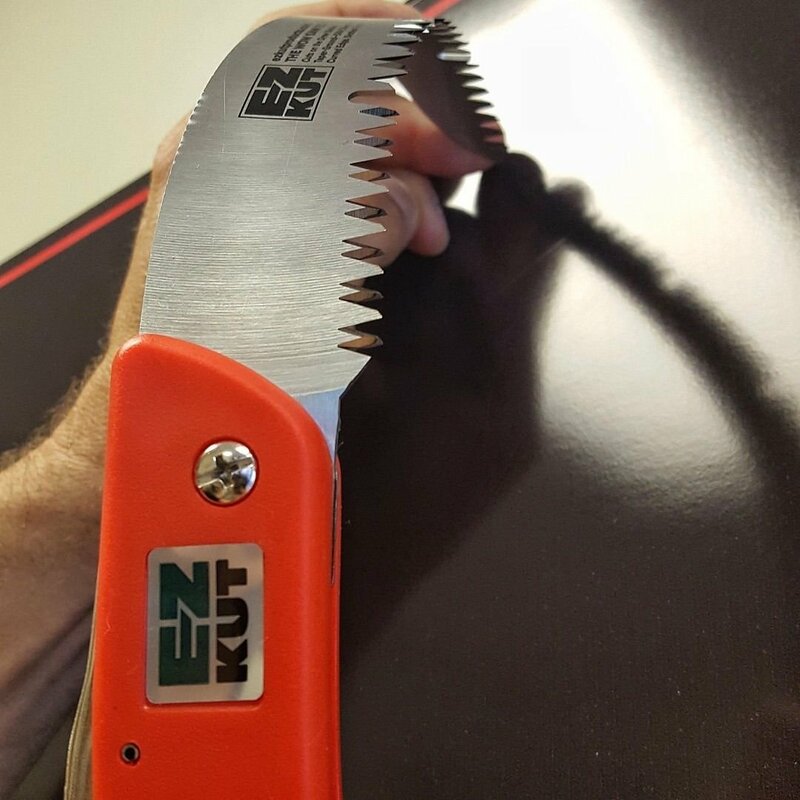 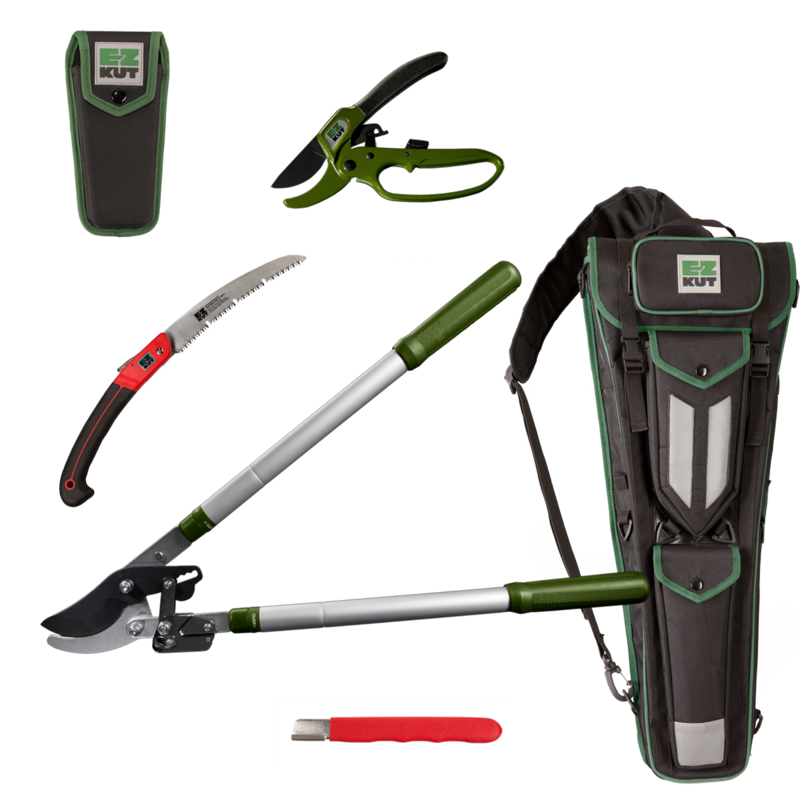 EZ KUT WOW SAW – PROFESSIONAL GRADE FOLDING SAW. 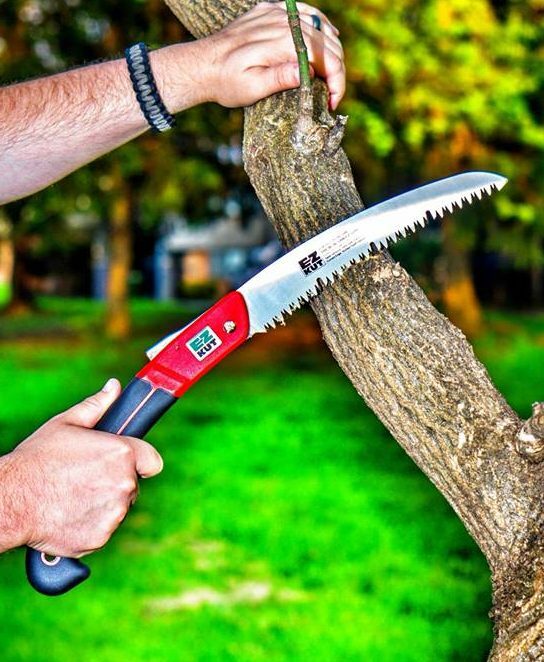 LIFE TIME GUARANTEED. 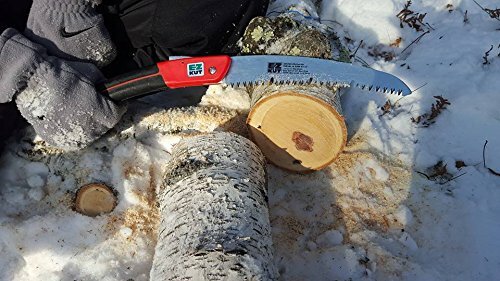 Replaceable Pull Stroke Saw, Impulse Hardened Teeth, Taper Ground, Aggressive Tooth Pattern, Cuts On the Draw, Slotted Tooth ( Raker Gaps ) Curved Cutting Surface, SK4 Hardened Carbon Japanese Steel, 10 inch Blade. 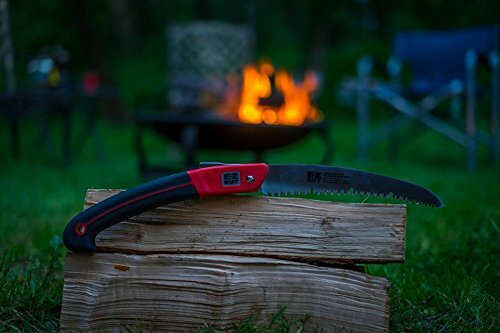 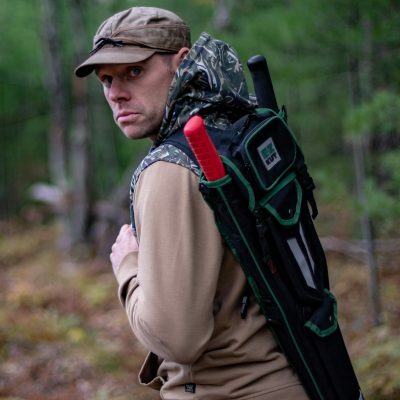 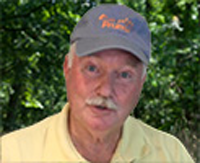 Best for: Hunting, Camping, Landscaping, Trail Riding, Snowmobiling.